From the time you were 10 years old, you probably have thought that broccoli is "good" for you, even if you disliked to eat it. Aggressive diet marketing campaigns, especially among proponents of low- or no-carbohydrate diets, have called into question the health and weight loss benefits of many traditional "health" foods such as broccoli. The discussion of what a "good" carbohydrate is and what a "bad" carbohydrate is might have left you confused, especially if you are a rookie dieter. Despite the small minority of anti-carbohydrate proponents, virtually nobody will suggest that broccoli is a "bad" source of carbohydrates. The very worst carbohydrates are simple sugars that have little to no nutritional content. An example of this is soda. Broccoli is mainly complex carbohydrates and dietary fiber. Broccoli has a significant nutrition content as well. For this reason, Dr. Jonny Bowden, Ph.D. and clinical nutrition specialist, in his book "The 150 Healthiest Foods on Earth," lists broccoli among the very best foods you can eat. Broccoli is rich in isothiocyanates, powerful phytochemicals that fight cancer by neutralizing carcinogens. A single cup of broccoli contains 288 mg of potassium, 43 mg of calcium, 81 mg of vitamin C, vitamin A, folate, magnesium, phosphorus, beta-carotene and lutein, which helps protect your eyes. 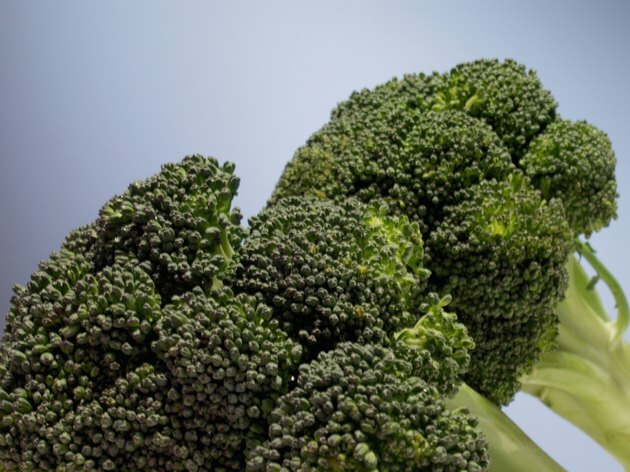 Although most know that broccoli is loaded with healthful nutrients, the confusion as to whether broccoli is a "good" or "bad" carbohydrate arises over its affect on your blood sugar and insulin levels. Foods that are considered "bad" carbohydrates raise your blood sugar and insulin levels rapidly and significantly, causing fat storage. These foods usually have high amounts of refined or processed carbohydrates. Fresh broccoli has no refined or processed carbohydrates. The glycemic index is a scale that measures how fast a food or beverage will raise your blood sugar and is commonly used to separate "good" and "bad" carbohydrates. Broccoli scores a very low 15 on the glycemic index, which indicates that it will not have a significant effect on your blood sugar. Bowden explains that although the glycemic index is a useful tool to separate good and bad carbohydrates, the glycemic load is a better reference. The glycemic load takes into account the glycemic index and how many carbohydrates are in a serving of the food. Some foods such as carrots have a high glycemic index rating but do not significantly raise your blood sugar because they do not contain a lot of carbohydrates per serving. The glycemic load more accurately assesses whether a food is a "good" or "bad" carbohydrate. Foods with a low glycemic load are consider to be "good" carbohydrates that do not raise your blood sugar levels. Raw broccoli has a glycemic load of approximately 0 out of 40. Bowden suggests that you buy organic broccoli if your grocery store sells it. He explains that in 2003, the Environmental Working Group, a nonprofit consumer protection and research organization, listed broccoli among 12 foods that were most likely to be contaminated with pesticides that could harm your health. Organic broccoli is not treated with these toxic chemicals. With the nutritional benefits, low glycemic index and low glycemic load, you can rest assured that broccoli is a healthful "good" carbohydrate that will absolutely not hinder your health and fitness goals.